use our wall and post on our behalf without our consensus.....isn't this so obvious? 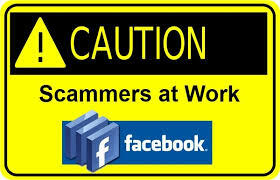 But then are many scams running out which are so UN-obviously UN-suspicious that most of us fall into their ploy! victim’s network pleading for help. The scammer claims to have been robbed or hit with another such tragedy, leaving them without any cash or credit cards. They typically ask the target to wire them money for a return ticket home and promise to pay them back upon return. See who viewed your profile! 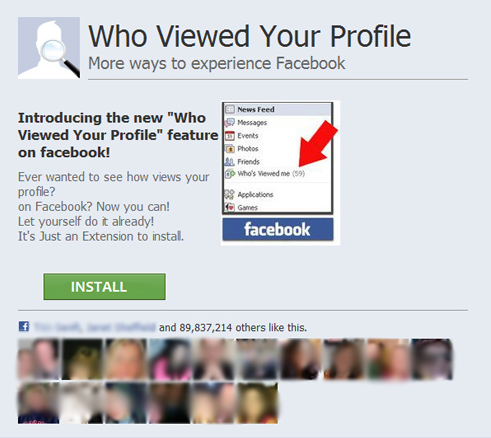 This scam has been making the rounds on Facebook for years and plays to the user's ego and desire for information about who is checking out their Facebook page. But the scam usually asks you to allow an application to access your profile, which then typically leads to a fraudulent survey which earns a commission for the spammer. Not only will you be left still wanting to know who is visiting your profile, you've also just shared your information with the shady character who developed the fake application. 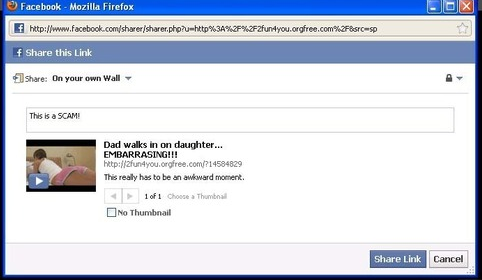 Dad walks in on daughter …. Embarrassing! Another example of clickjacking, this scam also promises you something you will likely never actually get. This scam promises a controversial video, but instead ends up leading the Facebook user to an online survey to earn a commission for the spammer. These kind of scams usually target age group which are in the range of 18 to 30 since its easier to attract curiosity from them and put up a controversial or some actress's video that calls for a click on it. A free gift card sounds great, except that it will never actually arrive. This scam is a phishing attempt to get users to divulge personal information and even sign them up for expensive services. The gift-card scam takes on new forms each month but there is almost always one going on at any given time. Other common gift-card scams include fake offers from the Cheesecake Factory and Victoria’s Secret. Make thousands working from home! These usually-bogus offers on Twitter direct the recipient of the tweet to an offer that charges for a “kit” that can help the person get started on making thousands “working right from the comfort of home.” Sounds too good to be true? It’s almost always is a scam. Any job that requires a fee for you to start is going to be fraudulent. Fake celebrity news is almost always a sure way to get clicks. The problem is those links are almost always a sure way to get your machine infected with malware or to find yourself involved in a phishing attempt. Other recent celebrity news hoaxes have included promises of Osama Bin Laden’s death video and claims that 90’s rapper Vanilla Ice had died or Micheal Jackson last moments! cancelled without your consent. But these emails, which appear to legitimately be coming from the supposed source, such as Facebook or LinkedIn, are actually a phishing attempt to get you to hand over your username and password. Any time you want to verify any information about an account, go directly to the site. Do NOT trust a link that claims it will take you there. These kind of phishing attempts are not new but since social media (like FB) exposes enormous audience even with low penetration rate, number of people falling in trap could be still substantial. 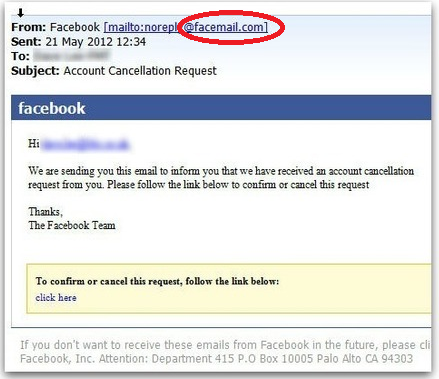 Like the previous account cancellation scam, this is also a phishing lure designed to capture your private information. Again, always go directly to a web site to change email information or passwords. 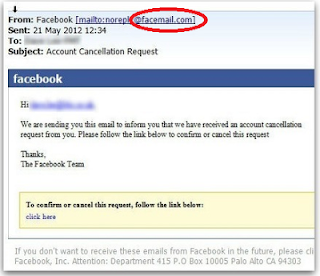 Do not use links that arrive via email. 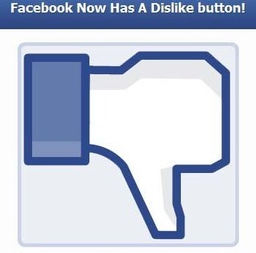 Facebook will start charging members! Another ruse that makes the rounds on Facebook every now and then is the urgent call for members to take action against impending plans by Facebook ownership to start charging for site use. The news begins to spread via status updates and often even claims “paste this into your status update so you will not be charged. Facebook will continue to be free for you!” But the move is unnecessary. Facebook has said it has no plans to charge members and the gossip is really just an updated version of a chain letter; generally harmless, but still a nuisance.